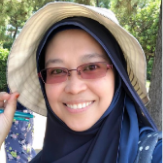 My HALAL was created on line shop for Muslimin living in Japan. 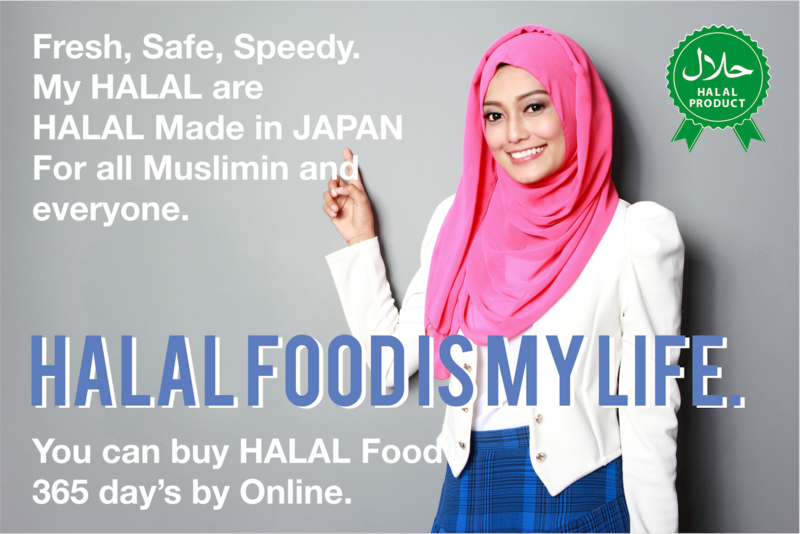 “My Halal” on-line shop is originated in Japan to support of Muslimin, Vegan, Tourist, Visitors and for all consumers in Japan. 5 Deal of Trial Set. You can try the different taste of My HALAL to our recommend trial set. We deliver goods at your convenient time. 24Hour, 7days, 365days You can order anytime at online. Quality delivery service of Dry and Frozen products. Introducing 10 trial set of HALAL items. What we will deliver this time is “Muroto’s commitment Oden” where you can taste a different oden by just heating it as it is. 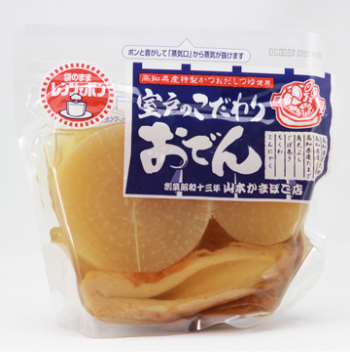 Besides boasting Tempura, sticking to local ingredients, radish and carrot were made in Kochi Prefecture. Tsuyu also uses bonito soup from Kochi prefecture. Do not break the bag, just warm it up with a hot water or range. There is no need for a cooking pot, you can eat as it is, so it is very useful for anytime meal if no time to cook. It is a popular item with very many repeater buyers. You can drink the soup until last and enjoy it in a cold soup as refreshed food during summertime. 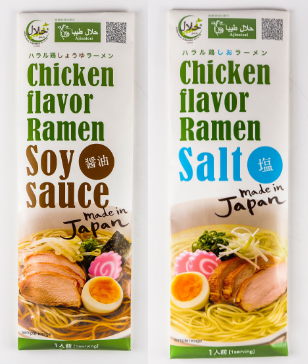 HALAL Chicken Ramen soy sauce & salt taste is a HALAL certified ramen made by collaboration of three companies that acquired HALAL certification. Rich in organic soy sauce and natural salt. It is a ramen noodle with a flavor of Chicken with soy sauce flavor and natural Salty flavor taste. You can make Japanese style -made of Halal Ramen at home, that you can feel the real taste of Halal chicken broth like eating a regular real chicken and ramen noodles. In addition, this Japanese Halal Ramen is popular as a tourist souvenirs or as a gift to bring back home to your family, relatives and friends. It is delicious as it is, you can add your favorite toppings or spice such as eggs, real chicken, green onion, veggies, you can enjoy it more delicious. It is Halal ice cream which does not use emulsifier which is hard to find in supermarket. 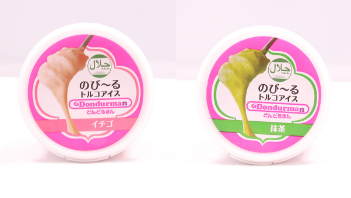 Turkish Ice "Dondurman " is a Turkish ice cream made by a Japanese factory, they invited veteran ice cream craftworkers from Turkey so that Turkish famous ice cream can be produced and enjoyed easily even at home in Japan. Turkish ice cream is an ice cream originates in the town of Kahraman Mamarashu in Turkish, saying "Malashes Dondurman". It is said that they made it sticky type ice cream to deliver ice creams made in town 300 years ago, to people above the mountain to make ice never melt even in hot weather. Matcha, strawberry and chocolate flavor are chosen and delivered. This juice soft drink with jelly. High in dietary fibers, vitamins, hyaluronic acid and collagen. Rich in texture and acerolascent that will spoil your senses. Best served chilled. 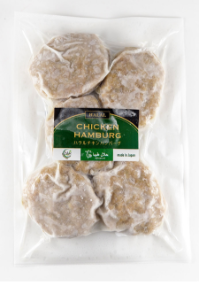 Halal chicken hamburger is Made in Japan is an all-chicken hamburger using domestic chicken (in Japan) in which was treated with halal ( way of organic food given to chickens and Halal slaughtering method) at its own factory in Kagoshima. Because the taste of juicy meat is solid, you can enjoy it deliciously fry, grilled or just baked, but you can enjoy even more delicious if you apply your favorite sauce such as demi glass sauce, curry sauce, teriyaki, or Japanese style sauce as well as ketchup and chili sauce. You can enjoy the taste in various ways such as hamburger style in bread, for lunch and dinner everyday. It may be warmed up in a microwave oven, but if you cook it in a frying pan it will be more juicy. Once you eat, you get addicted to its delicious taste. 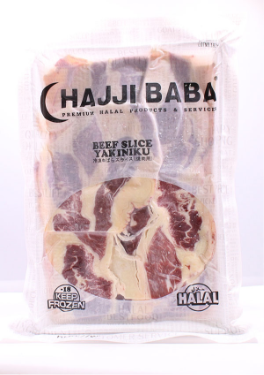 In My HALAL it is one of the best item with repeated buy rate. 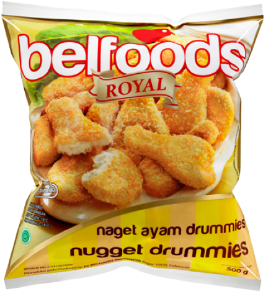 The popular chicken nugget is for children to adults in Indonesia. It is crispy, in bite size and very juicy taste. Because it is a frozen type, you can eat as many as you want to eat, when you want to eat just by ready to fry or oven heat. Even as it is after frying is ready to eat nuggets, you can enjoy it with your favorite sauce as well such as mustard, ketchup, chili sauce, mayonnaise. 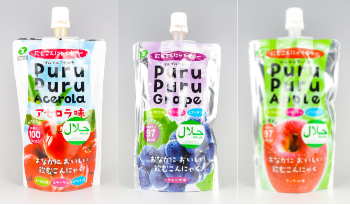 Because of its delicious taste, you'll never get tired even if you eat it everyday, it is also recommended for snacks and lunch box for children. It is sliced ​​beef, you can save time and effort to cut thinly, you can cook easily. Because the thickness of the meat is thin, you can quickly mix up the taste that matches your cooking. I work 5 days in a week and has 3 children, so I am very busy every day. 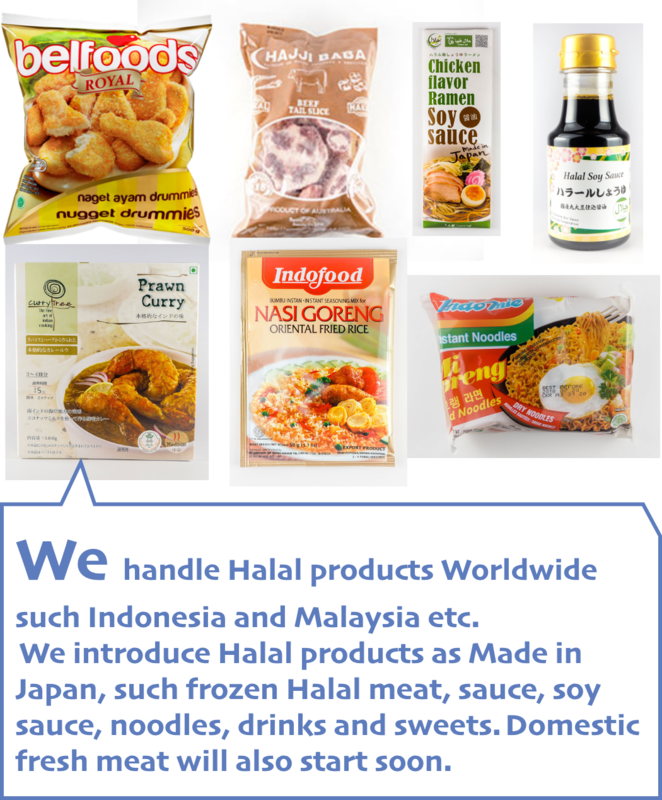 In My HALAL, there are many Indonesian foods that I can order by online and it is very convenient because you can always buy Halal food from the web site and does not need me to go far to shop for halal supermarket. So whenever I choose time for the goods to deliver to my home is so convenient for me, it lessen my time for shopping rather spend more time to my family. I knew My HALAL from my Sister. There are not many Halal Shop store near the place where I live, but if you order in an online shop like My Halal and I can buy not only meat but also many Indonesian Halal food as my favorites and I can also buy a lot of Halal such meats & soya meat, sauce, spices, ice cream, sorbet, cookies & sweets that is Made in Japan which I like it so much too. It’s good to know that there is Halal Made in Japan, I like it because of its quality. 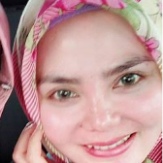 I’m very grateful that I found the “My Halal. 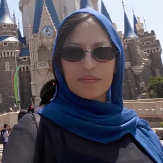 The website is easy to use it has an English version and very informative. I like the packaging service which separate the frozen to dry. I love eating Japanese cuisine and vegan foods that is Made in Japan. Copyright (c) [NAME] all rights reserved.